This summer, The Chedi Andermatt has partnered with The Kulm Hotel St. Moritz (www.kulm.com) and the famous Glacier Express (www.glacierexpress.ch) to offer a unique four-night Luxury Golf Express package that combines stays in two of Switzerland’s most luxurious hotels and includes spa treatments at each property, rounds of golf in glorious Alpine settings and a spectacular train ride, known to be the slowest express train in the world, between the two glamorous mountain resorts. Valid from June 22nd – September 3rd 2017. Prices start from CHF 2,285 per person. 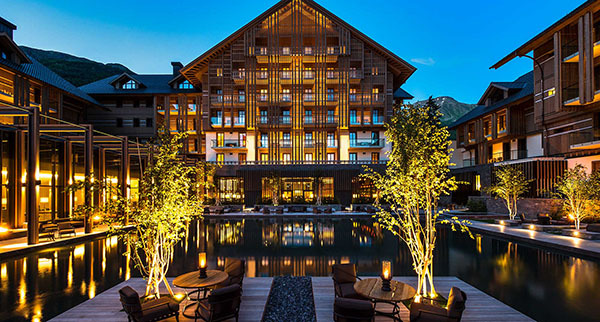 Based on a two-night stay at The Chedi Andermatt, followed by a two-night stay at The Kulm St. Moritz. Get a bird’s eye view of the region’s beautiful canyons, waterfalls and mountain lakes as you take to dizzying heights on a traditional Swiss mountain cable car. The day-long excursion includes lunch in a cozy chalet-style restaurant at the top of a mountain, boasting incredible views. Also included is a visit to a local farm for a tasting of artisanal food, where guests can savor a selection of Alpine cheese and cured meats. Guests are provided with a Chedi-branded backpack for the adventure. Valid from June 1st – October 15th 2017 and prices start from CHF 1,295 per person. Based on a minimum two-night stay. The Chedi Andermatt has partnered with Audi to provide guests with two exclusive cars available to use free of charge during their stay on-property. The Chedi’s car aficionados can leisurely explore the nearby villages and picturesque surroundings in style with the Audi R8 Spyder or the Audi TTRS Roadster. Valid from June 25th – July 30th 2017. Guests are encouraged to book with concierge in advance of the stay. Nestled elegantly among the ski chalets of Andermatt, a village of timeless charm in the heart of the Swiss Alps, The Chedi Andermatt, is one of Europe’s finest addresses and a destination in itself for wellbeing, cuisine and outdoor adventures from ski to mountain hiking. The sleek design, conceived by renowned architect and interior designer Jean-Michel Gathy, melds traditional Swiss chalet style with a subtle Asian aesthetic. Just a two-hour train journey from Zurich, The Chedi Andermatt is the idyllic retreat for a stylish summer escape. The Chedi Andermatt, a member of The Leading Hotels of the World and Swiss Deluxe Hotels, is situated in the Urserental in the heart of the Swiss Alps. Jean-Michel Gathy from Denniston Architects designed the property, combining alpine chic with Asian features, apparent in the hotel’s 123 rooms and suites. Dining options include Western and Asian cuisine at The Restaurant, The Japanese Restaurant, The Club House, The Chalet, The Wine & Cigar Library, The Lobby, The Courtyard, The Pool and The Bar and Living Room. The award-winning 2,400-square-metre Spa uses exclusive natural products from ila, REN and Alpienne and includes a state-of-the-art health club, 35-metre pool and relaxation area.